Just two days left until New Belgium Brewing’s Tour de Fat festival. Two days until thousands of people on bikes take to City Park clad in overalls and Speedos and sombreros and banana suits and shark masks and… everything imaginable, really. Tour de Fat is a party. It’s probably Denver’s best party. But it’s also a way to get more people on what BikeDenver’s Executive Director Molly North calls “one of the greatest inventions of all time” — the bicycle. “Part of what makes the biking culture attractive is that we can have fun, and we can do that safely, and we can do it in away that celebrates the bike and puts the bike forward,” North said. 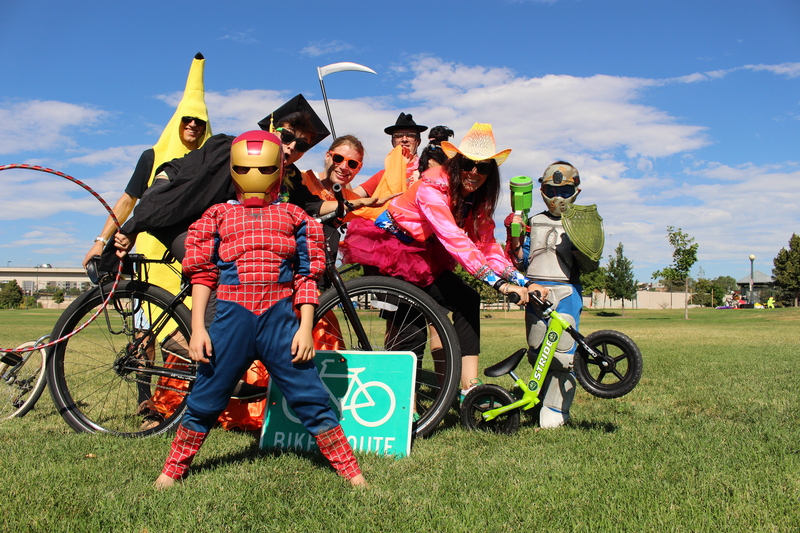 Born in Ft. Collins, Colorado to increase awareness and participation in cycling as a sustainable form of transportation, Tour de Fat has grown into a national rite of passage for cycling advocates and bon vivants alike. Opening each show with a costumed bike parade through the host city, Tour de Fat celebrates the power of the bike by encouraging everyone to embrace their inner-cyclist and ride the streets as a rolling carnival of creativity. The most symbolic part of Tour de Fat — the part that New Belgium says gives the festival a “deeper meaning” — is the ceremony that honors the car-for-bike swapper. This “car traitor” agrees to exchange their vehicle for $2,250, buy a bike, give up driving for a year, and blog about the experience. New Belgium is still accepting applications. New Belgium auctions off the car and gives proceeds to BikeDenver. That’s another great thing about this festival — BikeDenver, the city’s strongest bike advocacy group, is a major beneficiary. That means more resources to keep bikes on the front of decision makers’ minds, which means Denver’s streets have a better chance of becoming genuinely bike-friendly for all riders. BikeDenver also handles logistics for Tour de Fat, and they need more volunteers to help serve beer and hand out tokens. If you sign up for a shift here, you’ll get a free BikeDenver membership and Tour de Fat swag. Full disclosure: New Belgium Family Foundation helps fund Streetsblog Denver. Have fun out there.